This is a beautiful book about love, hospitality, and finding joy even when life isn't what you thought it would be. We got into the home of Willie Juan and Ana. The warm smells of sopapilla eminates from the kitchen and there are children strone all about waiting to eat even though the couple has no children of their own. With full bellies of warm food, the children are told how they are in the center of God's love. 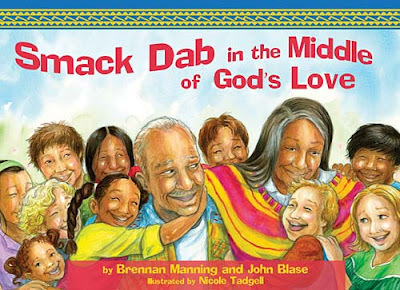 As I was reading this book, it took me back to a time of watching Lavar Burton on Reading Rainbow. It gave me that warm feeling of delighting in a good story. The story reminded me of something my grandmother might have taught me over a warm treat in her kitchen. The illustrations were rich and different from many of the children's books we see today. 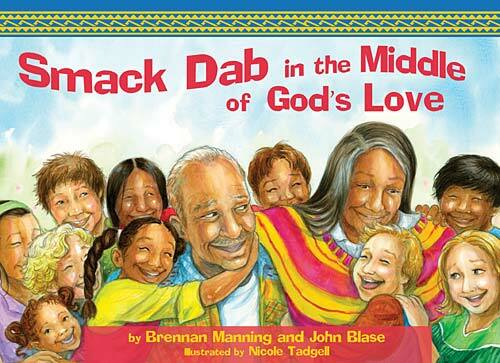 Besides all of these wonderful attributes, "smack dab" is fun to say and I loved reading it to my daughters. You can read this flip book full screen at ThomasNelson.com.